Apple is building its own screens, according to a report in Bloomberg. It’s the latest sign that Apple wants to own all the core technologies that go into its products. Apple already designs its processors, programming languages, and graphics processing units. Apple is executing on a yearslong strategy to own all the core technologies that go into its products. If Apple is successful, it could mean a major advantage over Samsung and makers of other Android phones: having features they can’t copy. And Apple’s latest project may be its biggest yet. It wants to design and build a screen, according to a new report from Bloomberg. Currently, Apple buys its displays elsewhere, meaning that while the parts that go into devices such as the iPhone X are tuned and customised, they are generally available to other companies. For example, other devices, like the Samsung Galaxy S9, also use OLED displays provided by Samsung. So, according to Bloomberg, Apple has built a display manufacturing facility in California dedicated to building screens using an emerging technology called microLED, which hasn’t been used in mainstream products. Working microLED prototypes are brighter and have a finer level of control over colours, and Apple’s hoping to use the screens on the Apple Watch, the report says. It’s sure to be a long and expensive process, but Apple can afford it. The report says Apple has about 300 engineers on the project and that it most likely won’t be ready for mass production for at least three years, in which time it could get killed. But if Apple succeeds, it will have something no other smartphone maker can match. AppleApple’s custom chips have become a key advantage. Apple’s new project is the latest sign that the company wants to design and own every important part that goes into the iPhone. This mission started in 2008, when Apple bought a little-known chip company called PA Semi. That technology and team eventually produced a custom Apple processor called the A4, which debuted in the iPad in 2010. 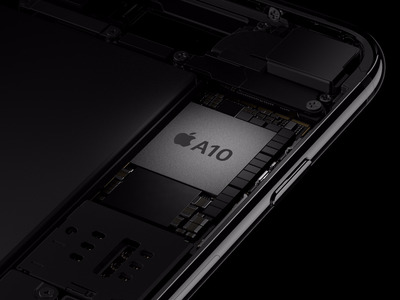 It seems to have worked out – Apple has used custom chips in all iPhones and iPads since then, and they have gotten really good. The A11 chip in the latest iPhones may be even faster at some tasks than desktop processors made by Intel. 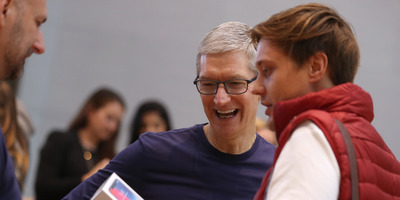 “Apple now finds itself making bets in terms of controlling core components in products,” the independent Apple analyst Neil Cybart wrote in December. It’s not just chips and screens – Apple also designed and owns its fingerprint-sensor technology, Touch ID; created a wireless chip, W1; and recently introduced a graphics processor, jettisoning Imagination Technologies, which previously provided the technology for iPhone graphics. Apple also owns many of the key software and hardware components needed to build the True Depth camera used on the iPhone X to lock and unlock the device. In 2014, it announced a programming language, Swift, to be used to build apps and software for Apple computers. Apple is also likely to build a wireless modem chip to enable its devices to connect to high-speed cellular networks. It’s in a bitter legal battle with Qualcomm, its modem supplier – something many industry observers believe is a prelude to introducing a modem.